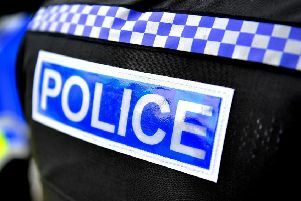 A summer crackdown on burglaries in Cherwell and west Oxfordshire has been launched by police today (Monday, June 18). Operation Jockey will see officers carrying out a series of tactics to combat dwelling burglaries and target offenders during the summer months. This will include high visibility patrols, automated number plate recognition (ANPR) technology, house to house engagement and disrupting criminal behaviour in the area. Neighbourhood teams will also be running crime prevention activities on estates offering advice and listening to residents’ concerns. West Oxfordshire neighbourhood inspector Steve Hookham said: “With the lighter evenings and warmer weather moving into the summer months, we often see an increase in reports of burglary from opportunist thieves taking advantage of open doors and windows. “I would like to remind residents to remain vigilant and to take the time to check that their home is not vulnerable to burglars. “I would urge residents to get in touch with any information they may have in relation to criminal activity occurring in their neighbourhood. Crime prevention tips to prevent homes being a potential target for burglars can be found at thamesvalley.police.uk/advice/protecting-your-home-and-belongings/burglary. Residents in Cherwell and west Oxfordshire can obtain localised information by following Twitter accounts: @TVP_WestOxon, @TVP_Banbury, @TVP_Bicester and @TVP_Kidlington. For regular updates on crime and disorder in your area, sign up to Thames Valley Alert at thamesvalleyalert.co.uk.